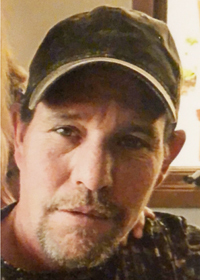 Michael Louis Wood, 46, passed away Sunday, December 2, 2018 at his home in Des Moines. Mike was born February 25, 1972 in Cheyenne, Wyoming. He worked at EP2 and most recently All State Industries. He was artistic and crafty. Mike was a great listener and loved being “Papa” to his kids and grandkids. He is survived by his wife of 15 years, Lori and her children, Russell Casey (Allie), Bobbie Waters (John), and Dusty Allen. He is also survived by his mother, Diana McGhghy; his children, Michael Wood Jr., Samantha Wood, Josh Wood and Dakota Wood; his grandchildren, Emily, Alexas, John, Brooklynn, Timothy, Sophia, Kaleb, Addison, Joseph, and other loving grandchildren; and his siblings, Matt Wood, David McGhghy, John McGhghy, Eric McGhghy, and Tonya Wood. Visitation will be held Monday, December 31, 2018 from 12 to 2 p.m. at Hamilton’s Funeral Home, 605 Lyon Street in Des Moines, IA followed by burial at Rising Sun Cemetery in Pleasant Hill, IA. Memorial contributions may be directed to the family in loving memory of Mike. Condolences at www.HamiltonsFuneralHome.com.